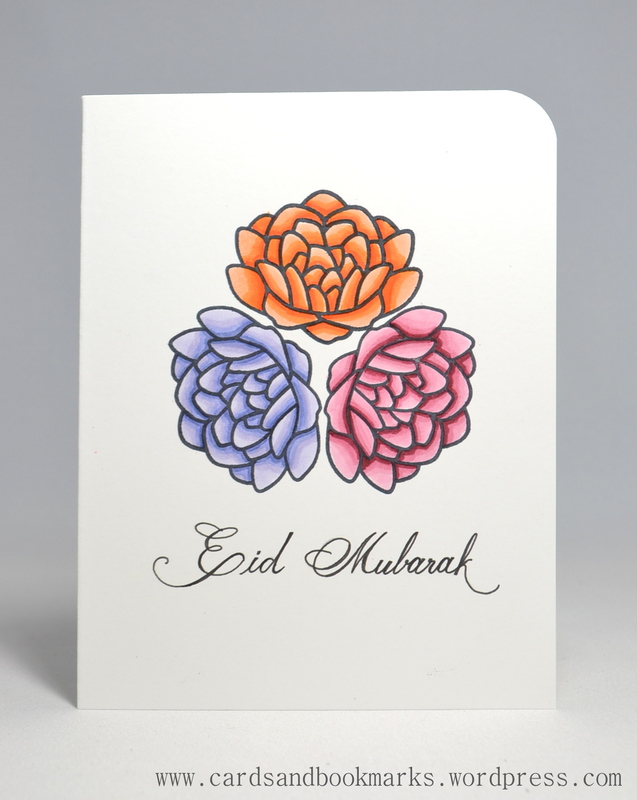 For the past two days I have been making some Eid greeting cards. I will be sharing them soon. In the process I thought I would make one for a challenge. It has been a while since I participated in any challenges other than the Runway Inspired challenge. 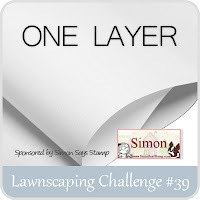 I chose the Lawnscaping challenge to create a simple one layer card. I used the Lawn Fawn set “Flutter By” and stamped the flower three times with Memento Black ink. Colored the flowers using Copic Markers. (YR00, YR04, YR07, R81, R83, R85, R89, BV00, BV11, BV13, BV17). I was inspired by Laura’s beautiful card here. I used Gina.K 120lb heavy card stock; therefore I could color with Copics without having the ink bleed through the paper. Wrote “Eid Mubarak” with a 0.3 copic multiliner. This is absolutely gorgeous!! I love your handwriting! Love the balance of the three flowers. Great colouring, and beautiful handwriting! wow – that’s your handwriting? amazing! Happy Eid! Thanks for playing along with us at lawnscaping! Such a beautiful card! Perfect positioning of those lovely, bright flowers! This is just stunning! What a beautiful job. Love the white space and the elegant script. Thanks so much for playing with us at Lawnscaping! beautiful coloring on this one layer card!! thank you for playing along with lawnscaping! !